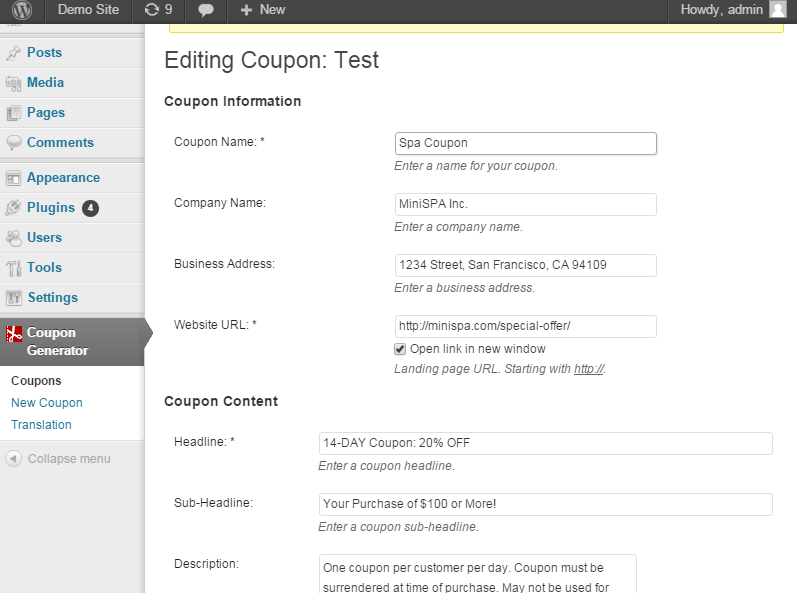 The best way to create, manage and publish coupons on a WordPress site. Advanced coupon management plugin for WordPress. Using the plugin users can create unlimited number of professionally looking coupons and publish them on the site using a shortcode or sidebar widget. The mobile optimized coupon includes 8 color schemes, custom logo holder, QR code, print button (printable coupon) and the offer description. The user can show either a simple expiration date or a Groupon style timer. 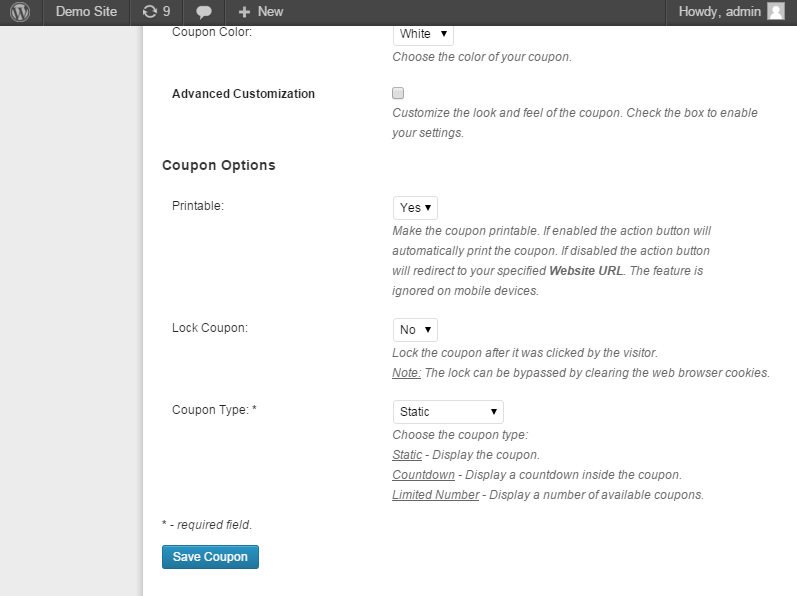 The plugin also supports coupons customization. The user can set the size of the coupon container, change fonts, border style and colors.